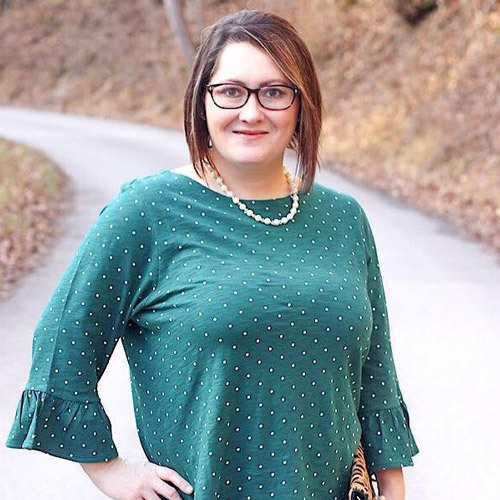 This week's featured blogger is Kelsey from The Peacock Roost . 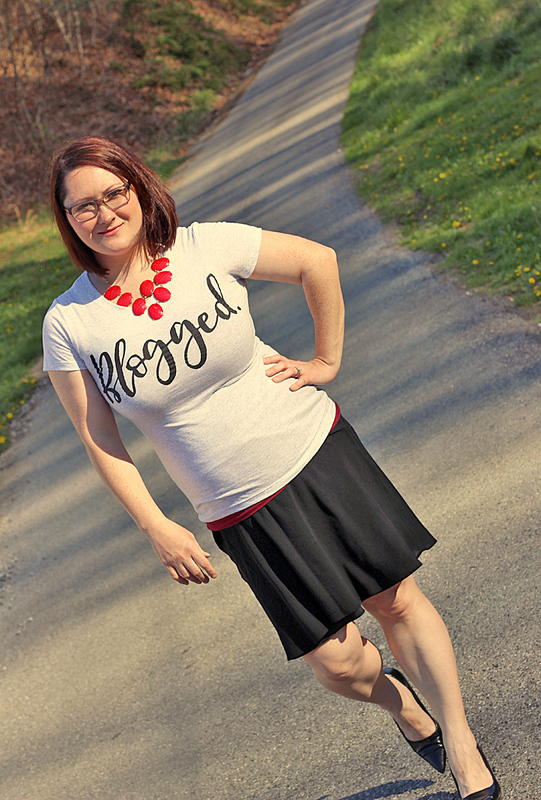 Kelsey has a lifestyle blog where she blogs a little about everything. You can find posts about faith, marriage, recipes, fashion, DIY, event planning, organization tips, etc. Her most recent post is about her bathroom renovations. I love how she decorated her bathrooms. Her post has inspired me. 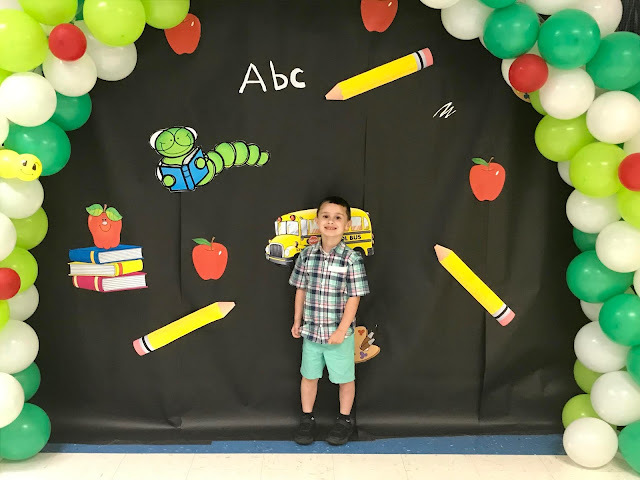 Kelsey has a great blog that I know you will love too! Please stop by and say hello to her! This has been a great slow paced week. I have done some much needed cleaning and relaxing. Not to mention, being outdoors a lot with Raylan enjoying the beautiful weather. Let's recap some of my favorites from this week. 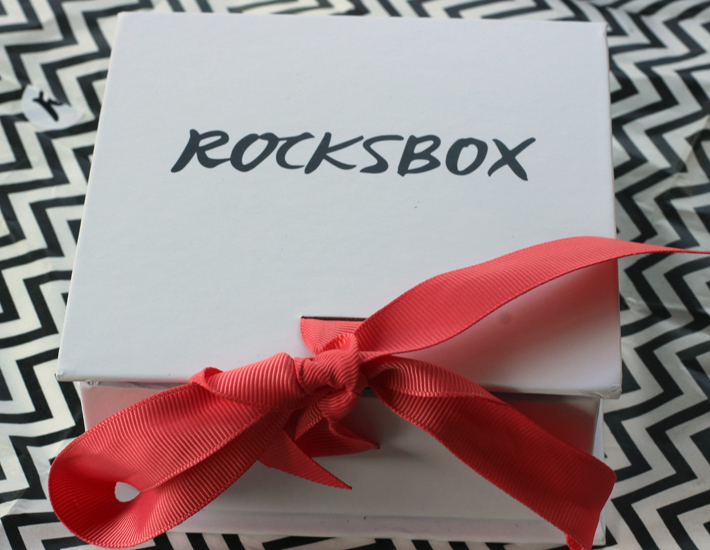 A few months ago, I decided to give Rocksbox a try. I had heard such great reviews on it, but I was hesitant to pay a monthly fee. I love jewelry but I also love saving money. I decided I would give it a try, after all, I could always cancel my services if I was displeased. What would it hurt right? 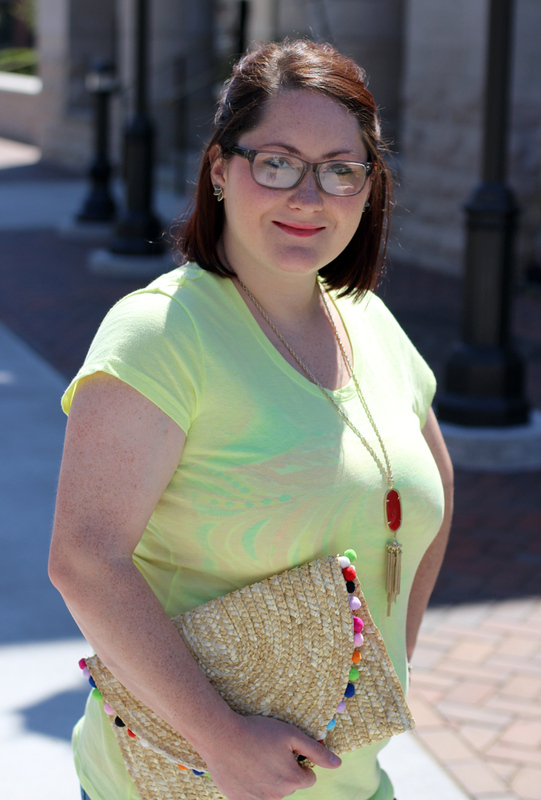 This week's featured blogger is Nina from A World of Dresses. Nina is a late 20's blogger who loves people and fashion. 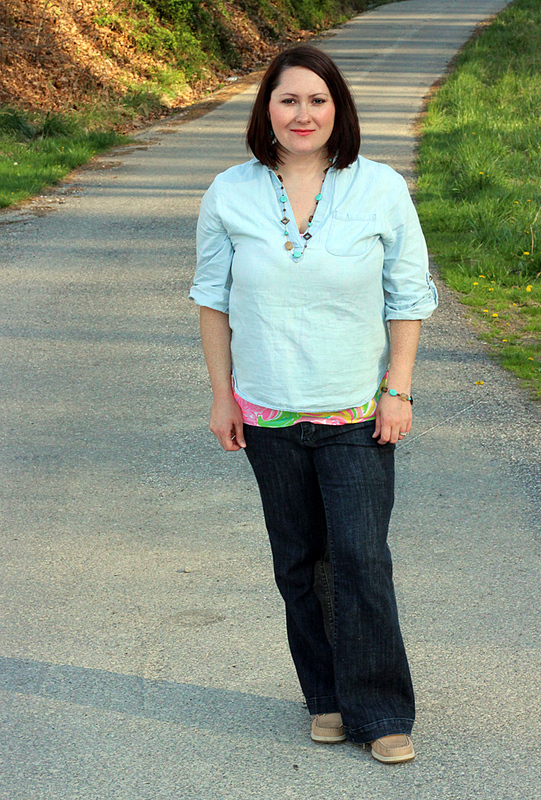 Nina uses her blog and dresses to connect and empower women. She wears dresses every day and at one point and time documented over 50 dresses in her closet. Nina is a part of Dressember which is a campaign in December where women raise money for organizations working to end human trafficking. She has a great sense of fashion too. Please stop by and say hello to Nina! This has been such a wonderful and relaxing week! Thank the Lord! It was exactly what I needed. I'm so thankful God gives us rest in our time of need. God is so good. Let's rewind to my favorites from this past week. 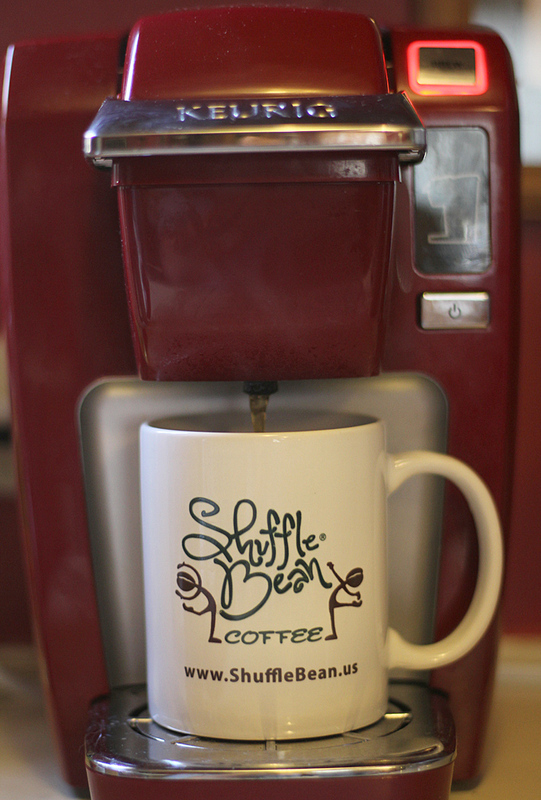 *Shuffle Bean Coffee was provided to me in an exchange for a review, however all opinions are my own. As a mom of a two year old little boy who is always on the go, I run off of Jesus and Coffee. Jesus and Coffee are both must-haves to get me through the day. I love my coffee and if I don't have it, let's just say that it's usually a bad day. One of the best parts of the day is putting a Keurig Compatible cup pod in my Keurig and brewing myself a delicious cup of coffee. 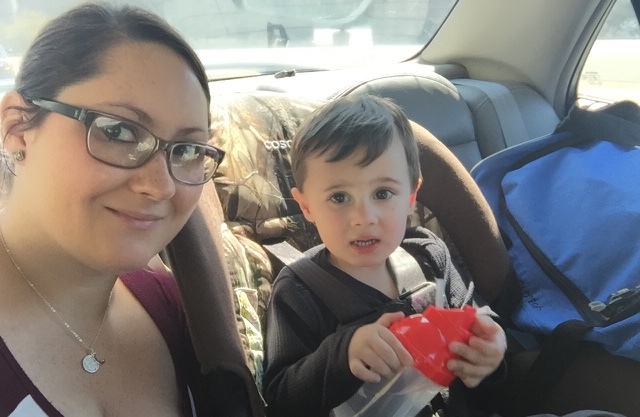 This week's featured blogger is Stephanie from Lexie Loo, Lily, Liam and Dylan too. 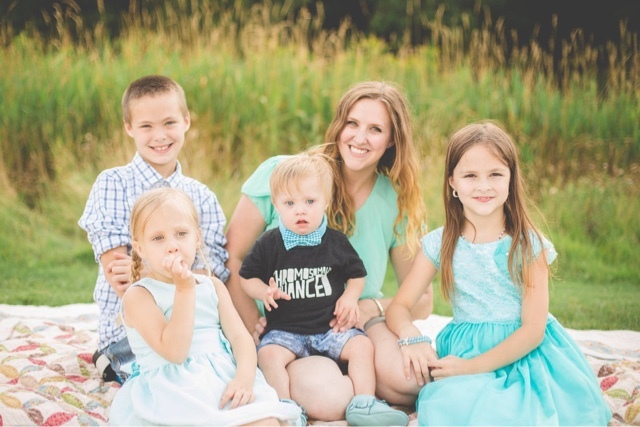 Stephanie is a wife and mom of four. 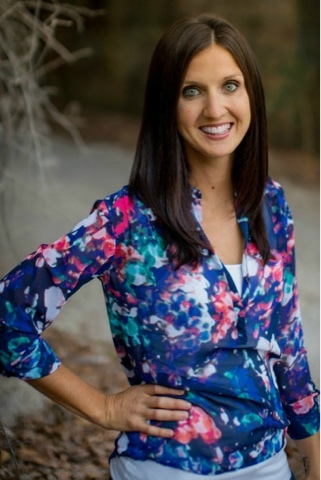 She loves taking pictures and creating fun activities and meals for kids. She is a parenting and lifestyle blogger on a mission to show the world that Down Syndrome is nothing to fear. She also posts some amazing recipes like this one of Paprika Chicken and Dumplings. Stephanie has a great blog. Please stop by and say hello to her. This week has been a good productive week. I have done a lot of spring cleaning and I am more organized. I feel so relieved now. I couldn't stand all that clutter anymore. Please continue to pray for my dad. He is still having a lot of health issues. With God all things are possible! Let's rewind to my favorites from this past week. 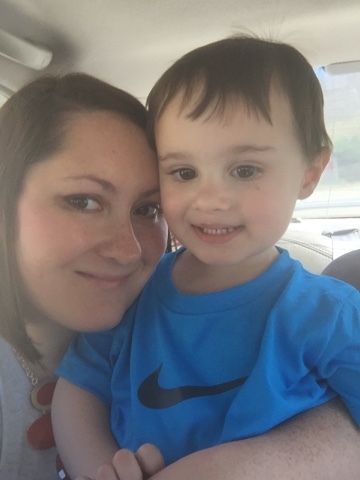 1) Justin's mom watched Raylan on Saturday, so we had ourselves a date day. He took me shopping which was so sweet because if you know my husband, then you know he hates shopping. We stopped and ate Chinese which is a luxury for us because Raylan can't eat that due to his nut allergies. So we only get Chinese if we have a baby sitter. The same goes for steakhouses. 2) These are two of my favorite pictures from this week. I love the expression in Raylan's face! I wonder what he was thinking? 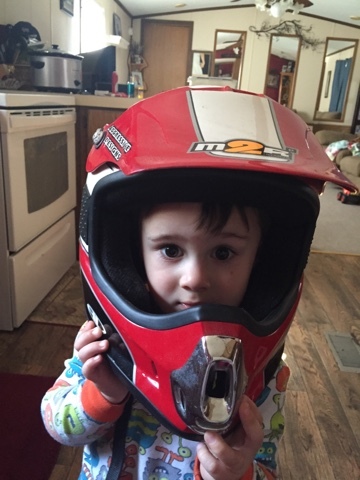 And I love this picture of Raylan wearing Justin's race helmet. Raylan is ready for the races this weekend. 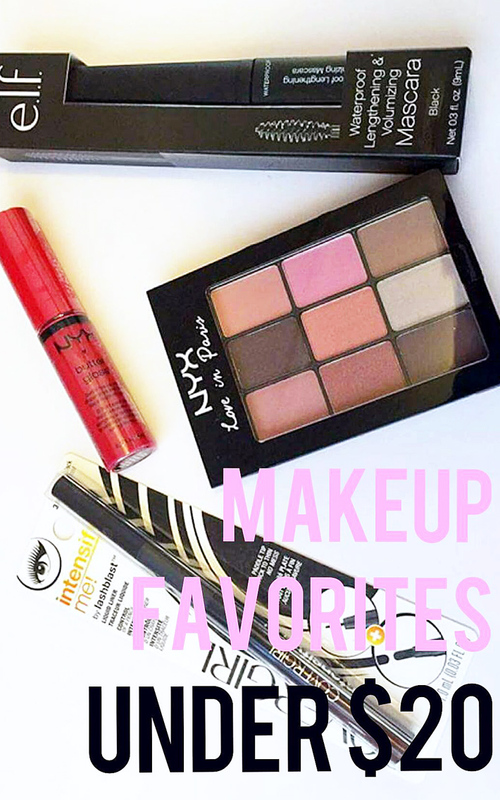 4) If you're like me and love makeup, but hate the price tag, then you need to check out this week's post of Makeup Favorites Under $20. 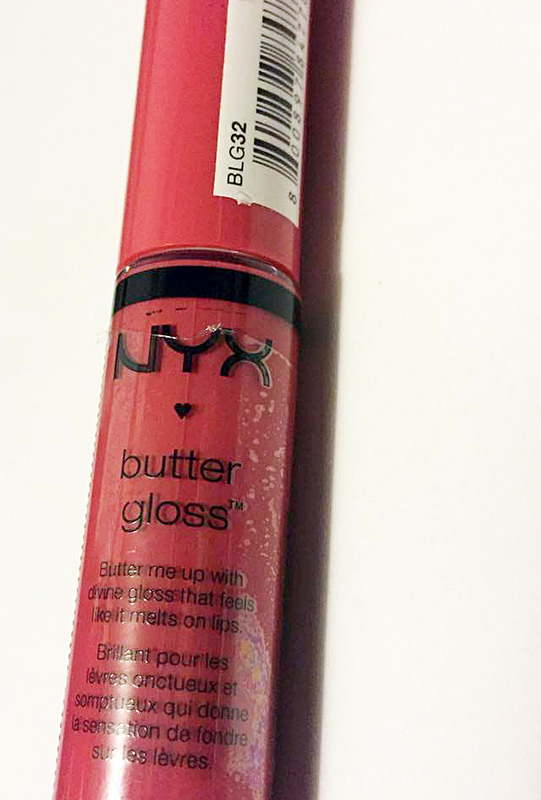 Beauty products don't have to be expensive. 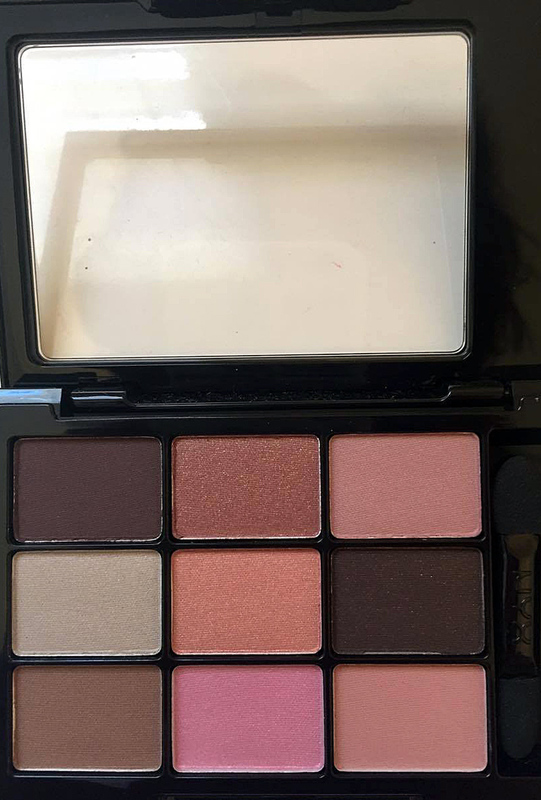 You can look great with budget friendly makeup without your wallet having to suffer. 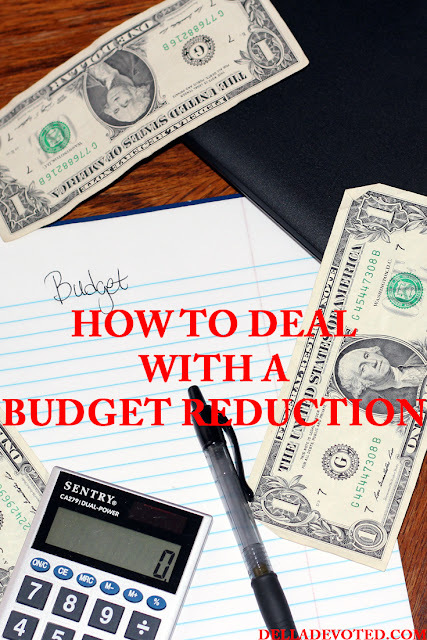 5) Also don't forget to view my most recent post of How to deal with a Budget Reduction. 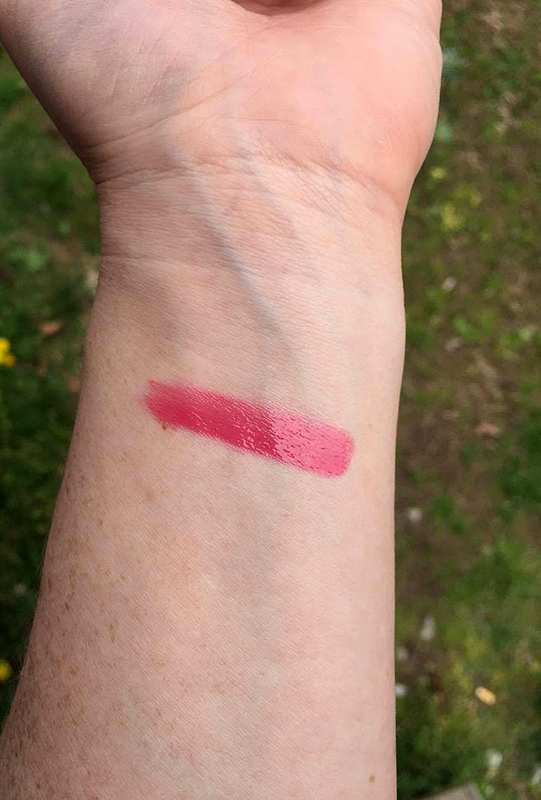 There are some pretty great tips in this post but number one is the most important. God always provides for his children. God is good all the time! Well that's it for me. Have a great, safe and blessed weekend. Thanks for stopping by! God Bless you! 2) My husband and I traded in our newer model vehicle to an older model vehicle. This saved us about $5,000 on what we owe. We now have a lower interest rate and a lower monthly payment which has been a tremendous help. 3) We don't go grocery shopping until we have used up what we have. Now of course we run to the store for milk, bread and a few other necessities, but I cook with what we have. This is a good way to get creative with your meals as well, so that you don't get tired of eating the same things. 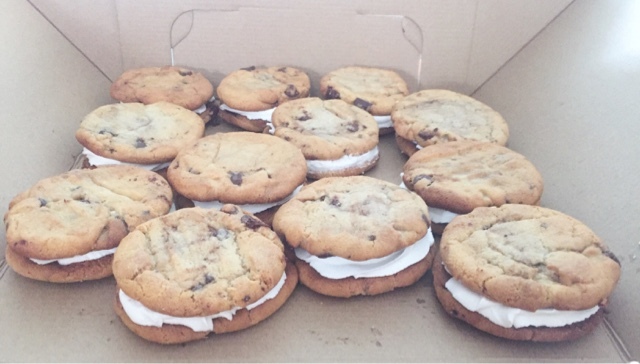 4) Make things to sell- I love to bake and decorate cakes, cupcakes and cookies. I have been blessed to have some recent orders and I am so thankful for my loyal customers. Like I said, God is good and he always provides. On occasion, I make deco mesh wreaths to sell, but I'm not the craftiest person around. 5) Sell things that you don't use - Everyone has things laying around that they no longer use, so why not sell them and get paid for them. Clothes, purses, books and etc. I have sold on ebay, Poshmark and Thredup. My husband also sells car parts and etc that he no longer has a use for. 6) Save money any way that we can- I sometimes use coupons, but not all of the time. A lot of times I just plain forget to use them. I wish I could remember to use them more often. If we make online purchases, we use Ebates which gives you cash back on some of your orders. I also like to use Walmart Savings Catcher. With Walmart Savings Catcher, you scan your receipts and they compare the prices to other stores. If a lower price is found, you get the difference. 7) Make simple changes- I love my coffee and enjoy using my Keurig, but k-cups for the Keurig can get really expensive. So I stopped buying k-cups and started buying coffee in bags or cans. You can get more bang for your buck this way. I just fill my reusable k-cups up with coffee and enjoy. My husband and I love to go out to movies but the late movies are pricey, so we switched to watching matinee movies when we can get a babysitter. Matinee movies always save a few dollars. We also don't eat out as much and cook more at home. We have also been having family game nights with friends and their children as opposed to going out and spending money. 9) Stay home more often- Now this may seem boring to most, but I can assure you that I very seldom get bored. 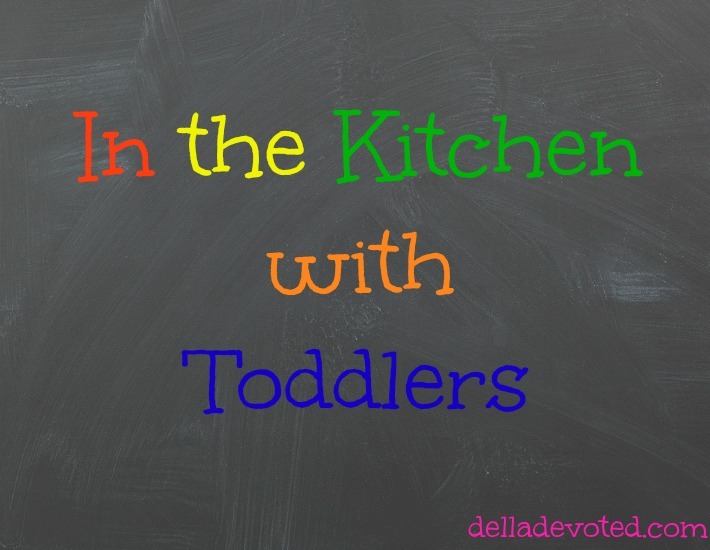 My two year old son keeps me busy so does homework and housework. There is always something to do! I always try to do fun activities with my son or spend quality time with my husband. I try to make the best of any down time that I have as well. Staying home has saved a lot on gas and fast food. Now that Raylan is potty training, we have saved a lot on diapers and pull-ups. When we are home, we use cloth training pants and that has saved a lot on those expensive pull-ups. These are just some simple changes that have helped us deal with our budget reduction. We haven't saved a ton of money, but we have saved some. These changes have helped us and God has and is still getting us through the tough times. When there seems to be no way, God always makes a way. God is good! What are some ways that you like to save money? 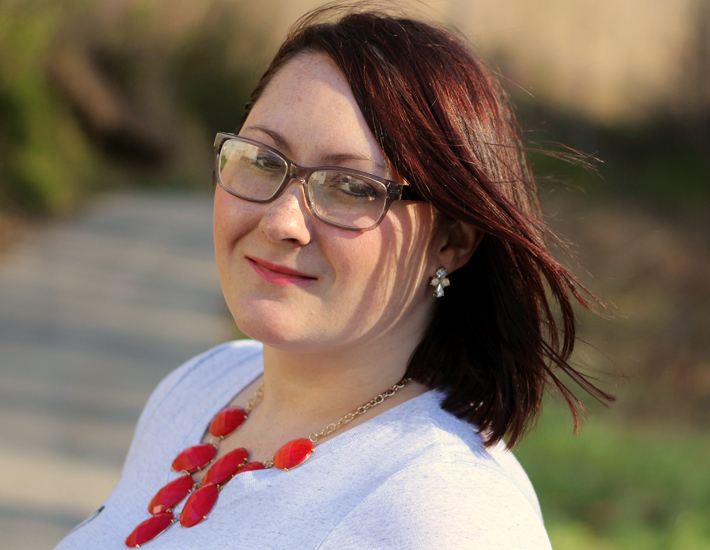 This week's featured blogger is Tanya from The Other Side of the Road. Tanya is a stay at home wife and mom. She was a former high school teacher. Tanya and her family recently moved back to Texas after living in the UK for three years. 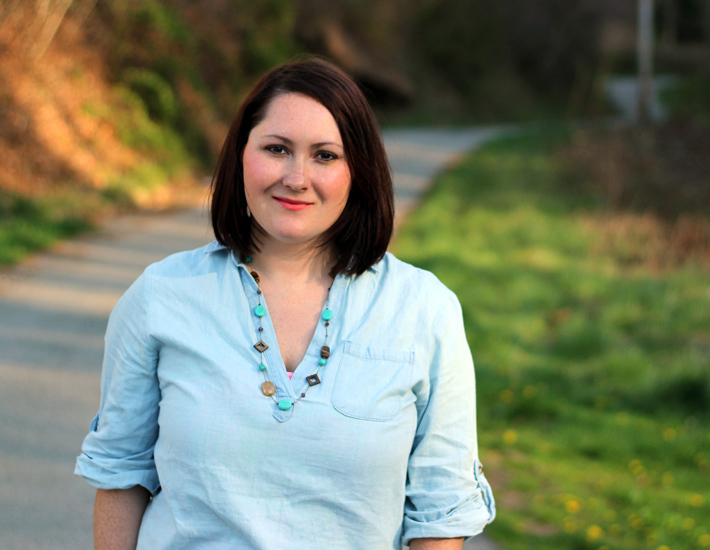 She blogs a little about everything including recipes and travel. Today makes her 2000th blog post, which is awesome. Congrats Tanya! Please stop by her blog and say hello. This has been a really good week. It has been a relaxing week, which is exactly what I have needed. I have even had the chance to take a few naps and go to bed early, which rarely ever happens. Anyways, lets recap some of my favorites from this week. 1) The weekend was a busy weekend for baking. 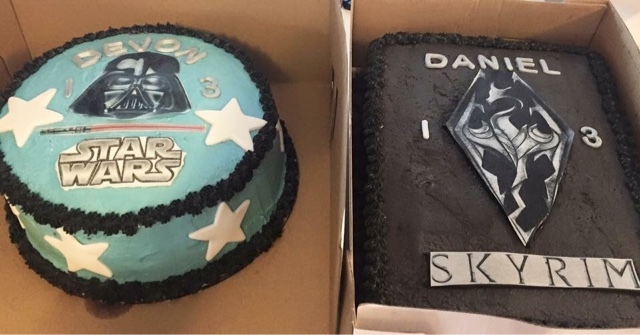 I had two dozen of cookies that someone ordered for a baby shower and then I had these two birthday cakes for twin 13 year old boys. I thought it was cute that they had their own separate cakes. I was worn out from all the work but I was glad to get the orders. I truly enjoy baking. 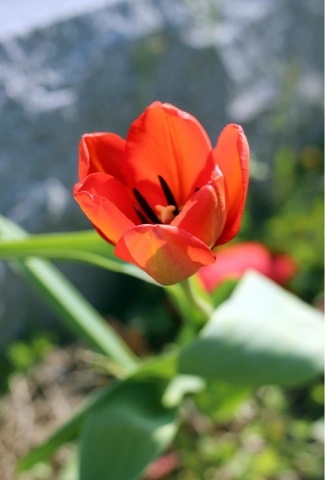 2) One single red Tulip was in bloom the other morning on my mom's grave. She loved Tulips so much and red was her favorite color. 3) It's very rare that I can get Raylan to smile anymore for a picture, so I took advantage of this picture this week. I love this picture of us both looking and smiling. He truly is my best friend. 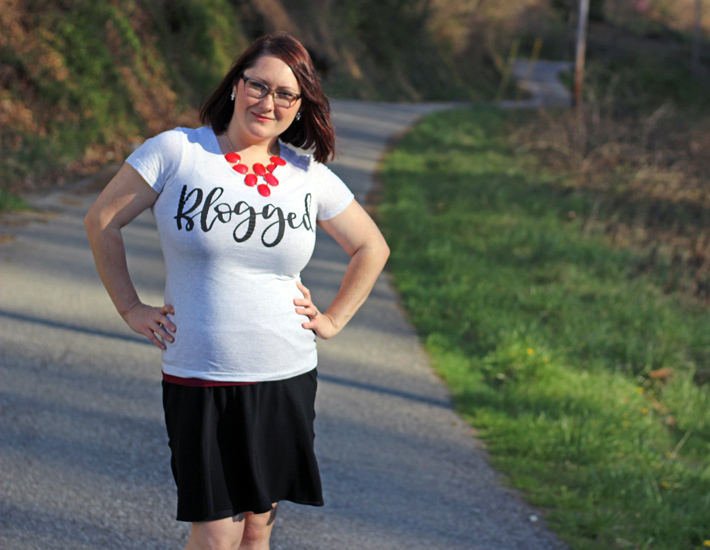 4) Tif from Bright on a Budget is collaborating with Kentucky Brewed Tees to bring bloggers a Blogging Shirt. I absolutely love it. You can click here to place your order. You know you want one! 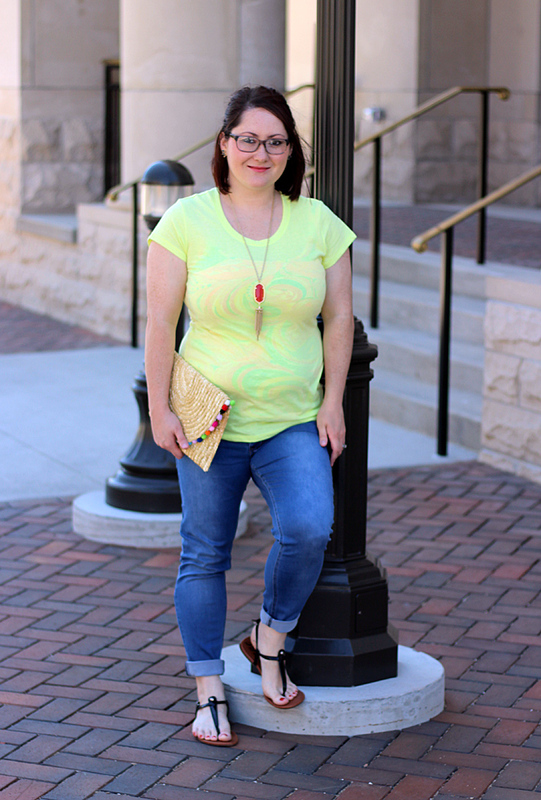 5) Did you catch this month's How I Style It: April Shower's Style? You can see that post here. Well that's it for now...Have a joyful and blessed weekend! Thanks for linking up! 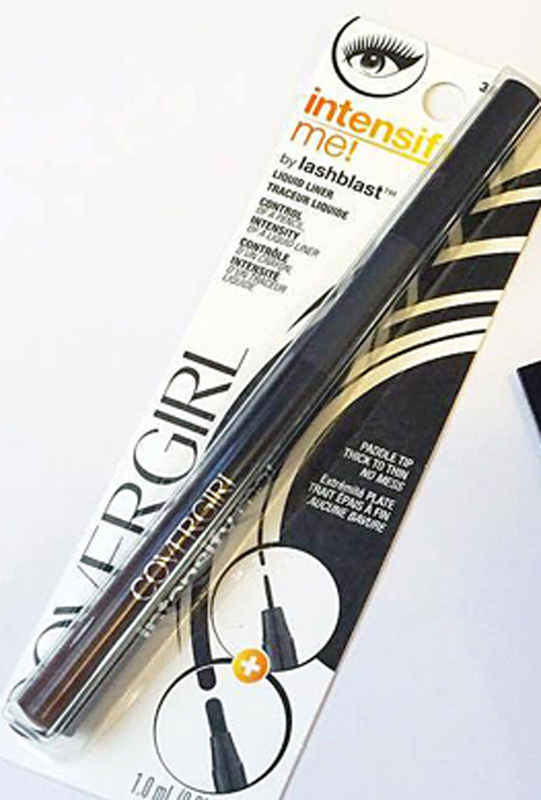 Welcome to the April installment of our "How I Style It" Blog Hop! 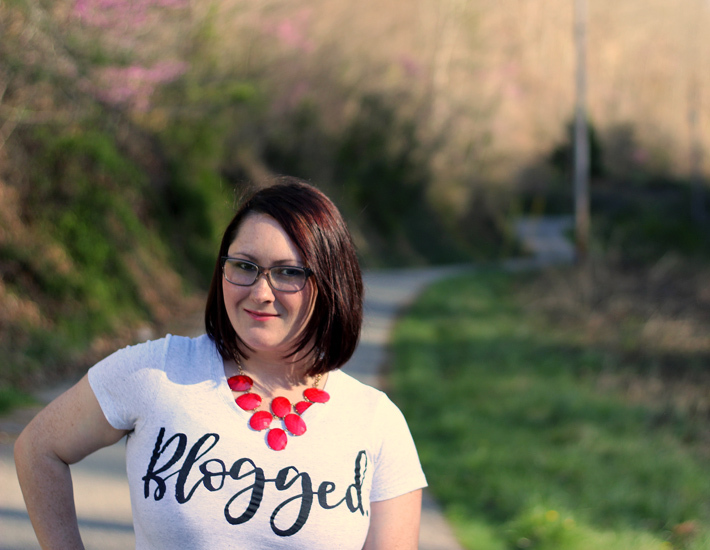 This is a monthly Blog Hop where we all get together to show you how we style our favorite fashion trends, and invite you to join us in showing off your passion for fashion as well! While this was a link up for several months we felt that it was time to discontinue the link up and move towards a fresh new collaboration. April is usually rainy all month long, so far in Eastern Kentucky we haven't had any rain. We have just had chilly weather. I think I would prefer the rain over the cold. Anyway, it usually isn't very warm in April so I still like to dress in a warm like fashion. I also like to dress prepared for rain, because you just never know when a rain shower will pop up. Here is how I would style a rainy day look... I like to keep my rainy day looks very relaxed. Who wants to be uncomfortable in the rain? Of course I would be wearing my plaid Sperry Boat Shoes. They are absolutely perfect for rainy days or for being on the boat. 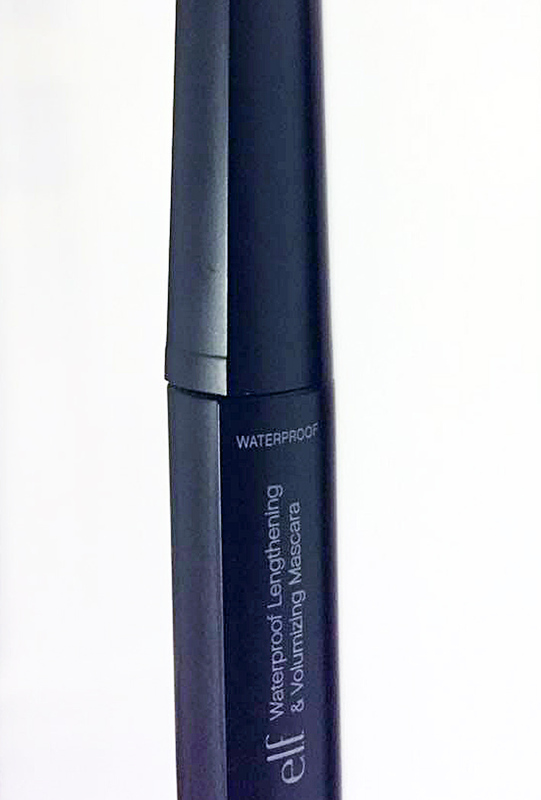 They provide a great grip for slippery areas and are designed to repel water. Not to mention, they look great with any outfit. 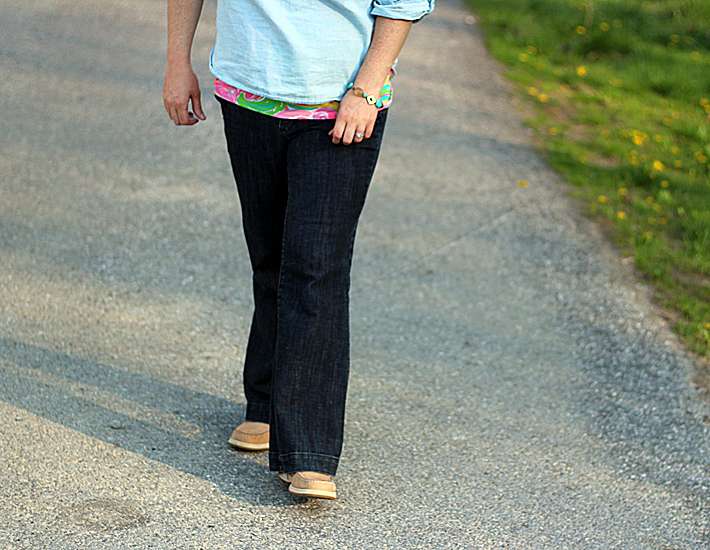 I would also wear a Chambray Popover shirt and dark denim flared jeans. 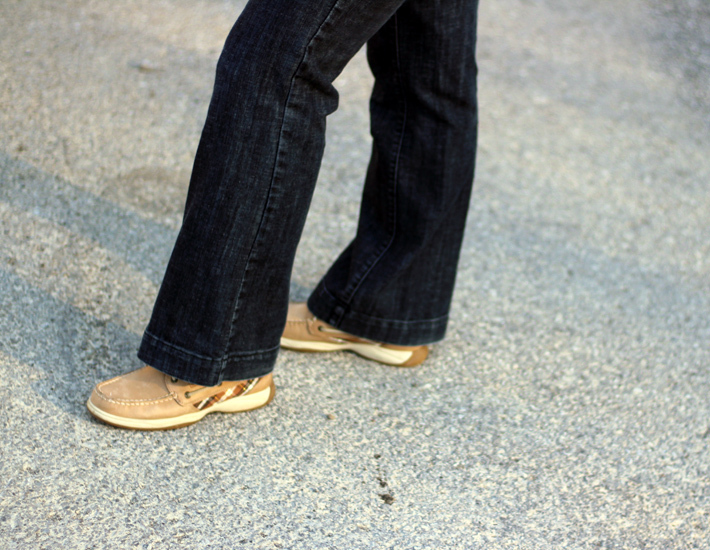 Flared jeans are back in style this year! Yay! I have missed Flared jeans. The blues in the outfit remind me of the gloominess of a rainy day. 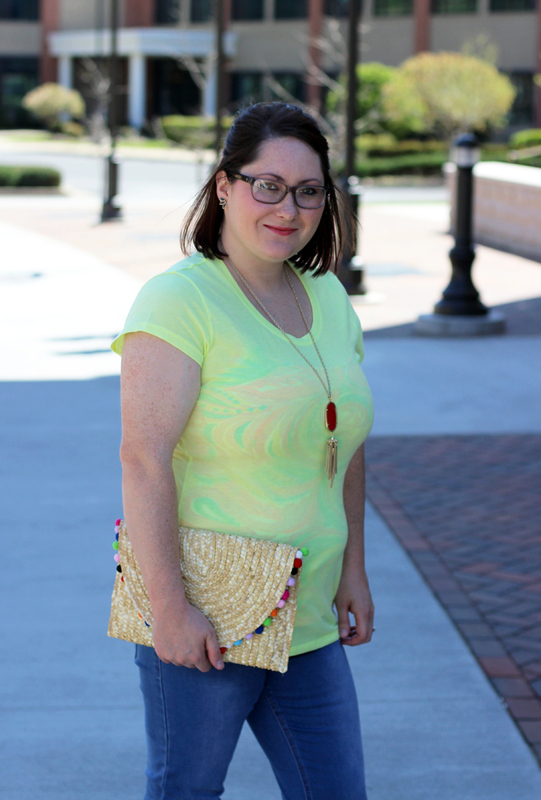 However, I added a Lilly Pulitzer All Nighter Tank to add a pop of spring color to brighten up the outfit. To complete the look, I added some Premier Designs jewelry. This whole look is definitely an aquatic look. It's perfect for a day out in the rain or on the lake! Always remember that April Showers bring beautiful May flowers! *This shirt was provided to me by Kentucky Brewed Tees, but all opinions are my own. 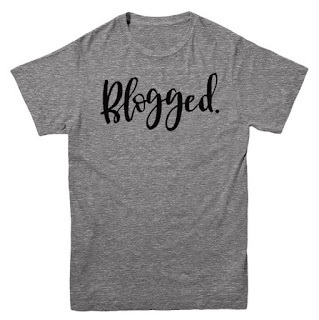 I love the fact that it says Blogged because with my life, pretty much everything is Blogged. Lexington Lettering did such a wonderful job on the hand lettering that is displayed on the shirt. It simply is beautiful. This tee is the prototype tee in light gray and it pairs well with everything, including skirts. I love this shirt, however, the sizing is not my favorite. Since the sizing was off on these shirts, Kentucky Brewed Tees now has a unisex fit that is slightly a darker gray available to order. You can find the link to order at the end of this post. I paired it with a simple black skirt and a red statement necklace. 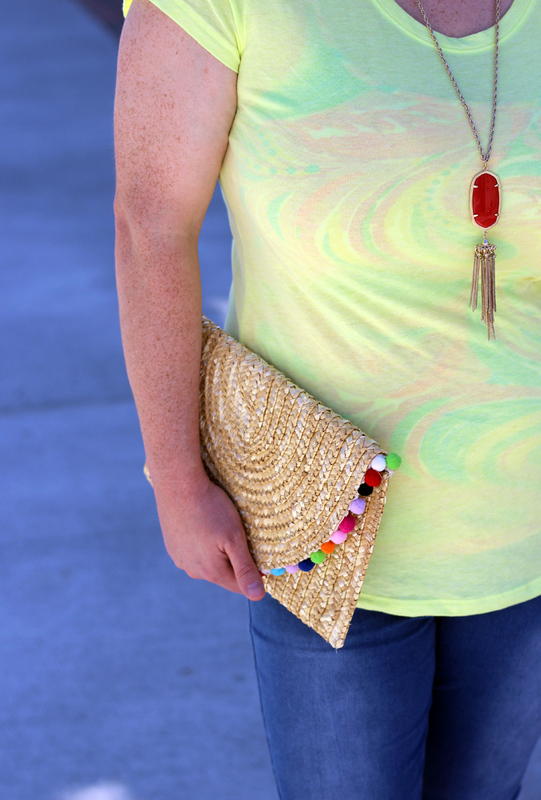 The necklace really makes the shirt standout! and I added these gorgeous Perry Street Charlotte Earrings that I purchased through Rocksbox. and finished the look off with a simple pair of black stiletto heels. 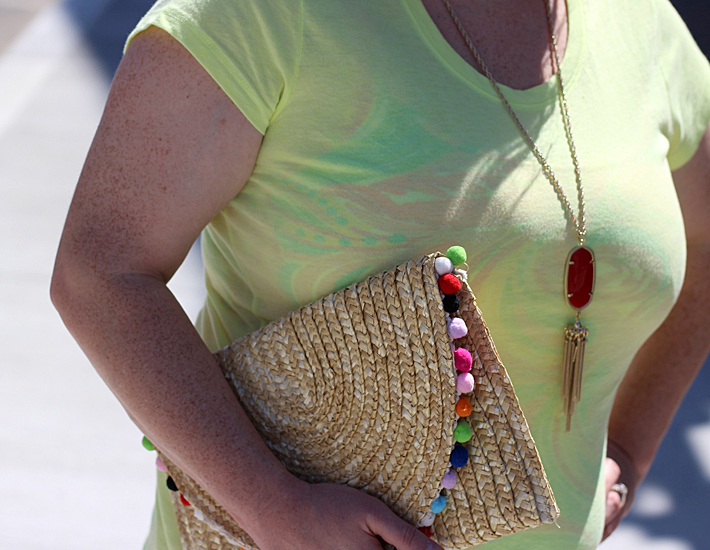 It's a cute, fashionable look that makes a statement. Normally I don't wear tees with skirts, but this tee pairs so well. I just love how you can style it with everything. 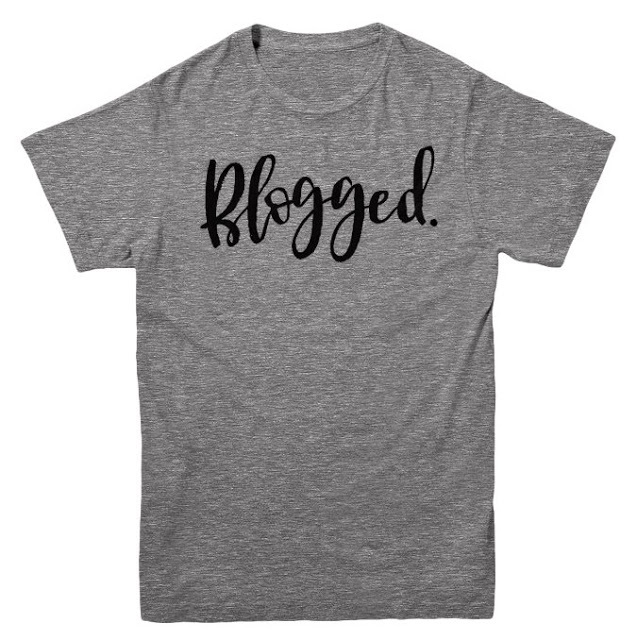 Do you want your own Blogged tee? They are now up for sale on the KBT website! The tee is priced specially at $18 for sizes S-XL, and $20 for size XXL (coupon codes will not work because of this special price). The tee is a tri-blend tee, which means it's super soft. Now, unlike the tee I'm wearing, the actual production tee is a UNISEX fit and is a regular gray color, not light gray like in my pics. 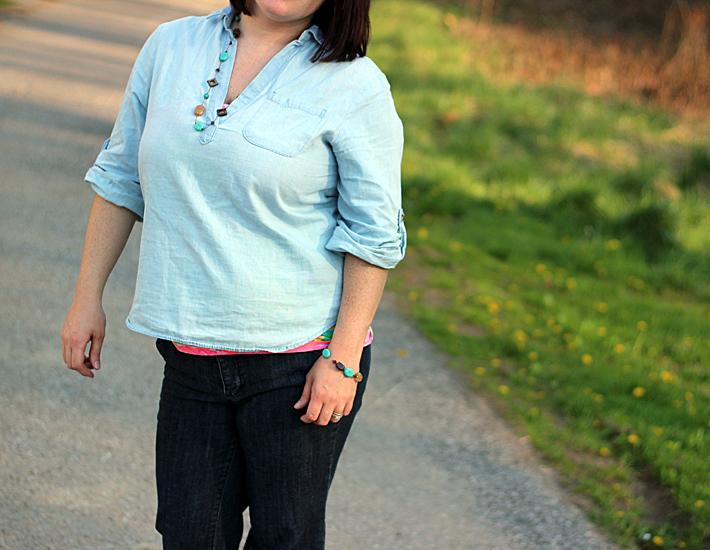 This week's featured blogger is Beth from Our Pretty Little Girls. Beth is a wife, stay at home mom and home school mom. She is a follower of Christ and loves photography. 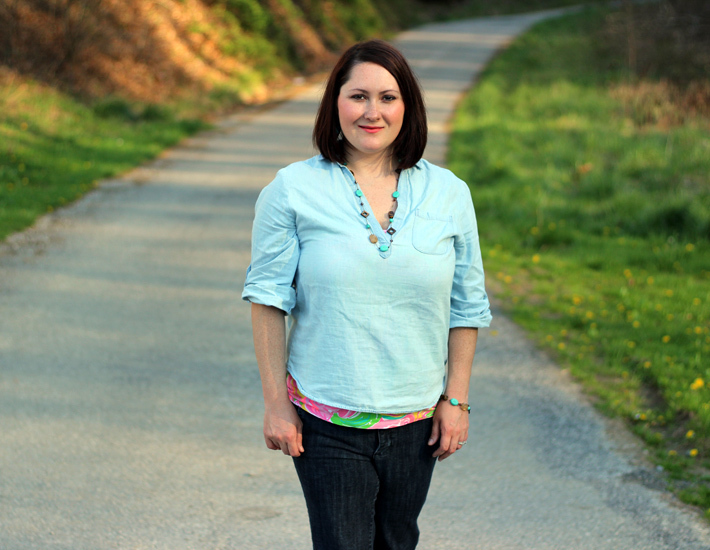 She blogs about her faith, parenting, DIY projects, homeschooling journeys and so much more. She is also co-host of several different link-ups. Please stop by and say hello to Beth! This was a great week but has ended kind of rough. However, I'm thankful for the wonderful moments that happened this week. I truly enjoyed Easter with my little family and making so many wonderful memories with them. God is good all the time even through the bad times. Let's rewind to my favorites from this week. 1) On Saturday, our church hosted an Easter party for all the children. There was food, inflatables and of course an egg hunt. Raylan had so much fun along with his little friends. We had a great turn out! Tif from Bright on a Budget was there with Kane as well. 2) We had such a wonderful Easter Sunday. 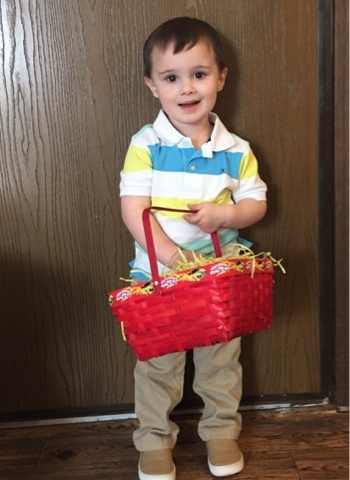 We went to church to serve and praise our Risen Savior and then Raylan had two egg hunts. We also had a family dinner. 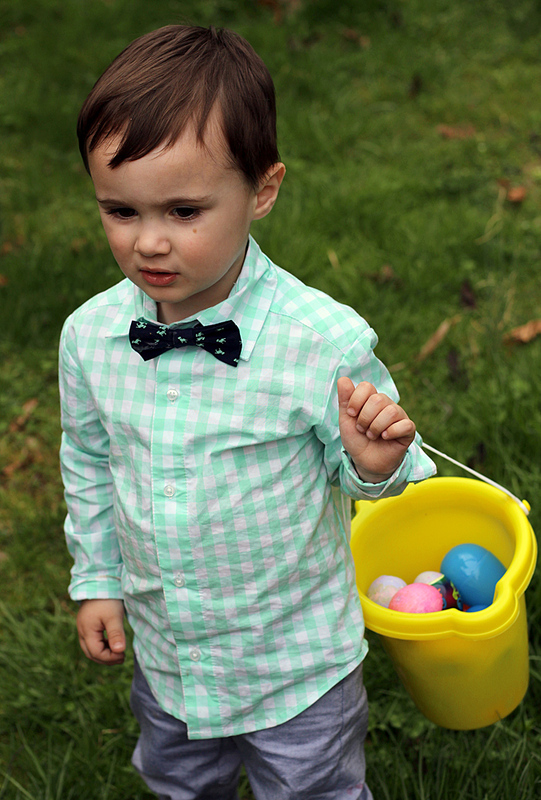 Raylan is becoming a pro at egg hunting. 3) It is officially spring time around my area. We have had beautiful weather all week long and flowers are popping up everywhere. I can't remember the name of these flowers but they were by my moms grave this week. They are such beautiful flowers. 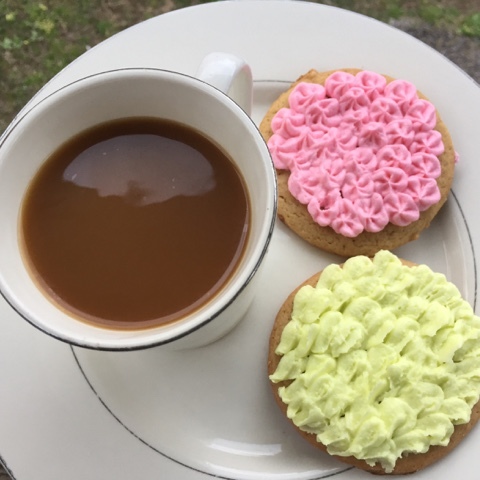 4) Since spring is here and it has been so nice out, I figured I would celebrate by making some spring themed cookies. Spring time just puts a person in such a good mood. 5) Don't forget to check out this week's post of Photography tips for a Holiday Shoot at Home. Thanks for stopping by and linking up. Have a joy filled and blessed weekend!